France Bognon, Esq. is a Program Director at ICAN with responsibility for managing the Innovative Peace Fund and supporting partners. Ms. Bognon has expertise in building the capacity of local and national civil society, supporting women’s leadership in countering extremism and promoting rights, peace and human security. This includes managing grants, conducting trainings and providing technical assistance on issues related to prevention of violent extremism and violence against women. Through these initiatives, Ms. Bognon supports ICAN’s in-country activities that are designed to address deradicalization of individuals and communities, rehabilitation and reconciliation of former fighters, and strengthening resilience to withstand the lure of extremist ideology and recruitment. Prior to joining ICAN, Ms. Bognon was a Visiting Associate Professor of Law and Experiential Learning Program Fellow with the Outside Placement Program at the George Washington University Law School, where she also received her J.D. and LL.M. in International and Comparative law. 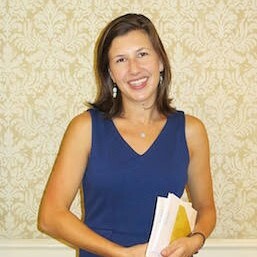 Ms. Bognon worked as a student attorney with both the International Human Rights and Immigration Clinics, where she assisted in the civil prosecution of an individual convicted of committing torture and war crimes against an ethnic group in West Africa and co-authored a chapter on the current state of human rights class action lawsuits in U.S. federal courts. Ms. Bognon has also worked at the Immigrant and Refugee Rights Project at the Washington Lawyers’ Committee for Civil Rights and Urban Affairs, the Human Rights and Special Prosecutions division of the U.S. Department of Justice, and briefly with the United Nations Development Programme in Rwanda. She speaks English and French and is married with a daughter.